UPDATE: meanwhile there are 16 (and growing) videos, so I just post the Playlist here..
ja – man hatte klar den Juno 60/106 im Blick bei der Entwicklung. but it is clearly said: DCO square/pulse and saw, DCO 2 pulse/PWM only! and a mod matrix is not at all juno’ish but useful. this isn’t WYSIWYG – it’s some things behind this screen..
curves can be changed – slopes ..
Prototyp was named „Phat 12“ (which is odd, isn’t it?) – here is the prooooof: it’s 3 Envelopes with switch buttons and 2 pole switch for the filter which might still be LPF but could be set via EDIT-Button next to it. 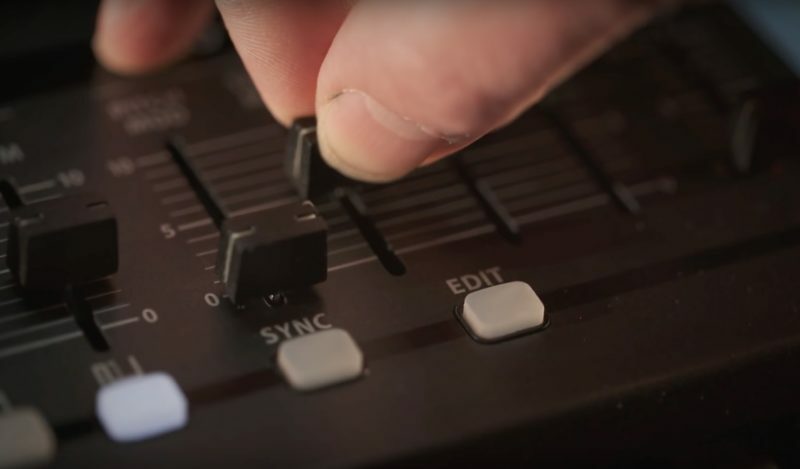 Deepmind has WIFI to be controlled by an iPad / Editor. 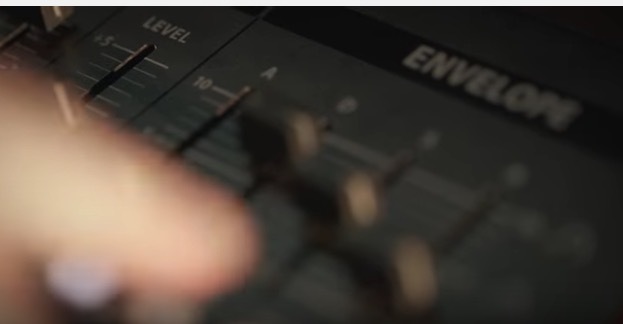 have you seen that second synth in the 6’th video? 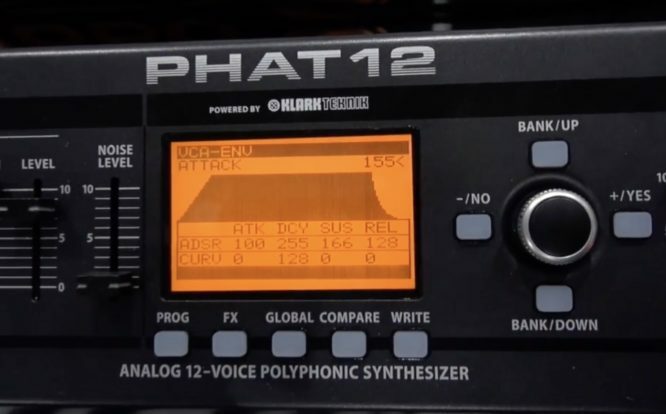 may be the next one..
this is the pre-phat 12 – deepmind prototype. (5th update): 2 DCOs, 2 LFOs, Sync, 12 Voices: rendering added. 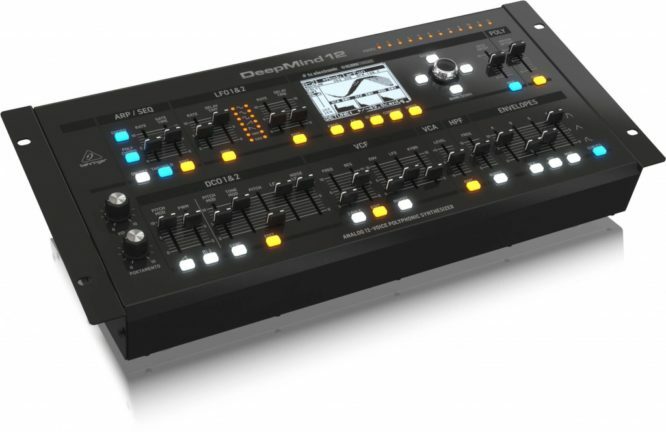 UPDATE 5: Name : Deepmind 12 – 4 FX Blocks (by Klark Teknik) freely assignable with „algorithms“.. I’d expect it to be called „Kraftgedanke“ or „Urgedanke“ or something. Not that iPad – maybe an editor or library-software? it’s time for the price tag, now! and there should be buttons for the envelopes – not yet clear – so I assume there will be another „unveiling video“. 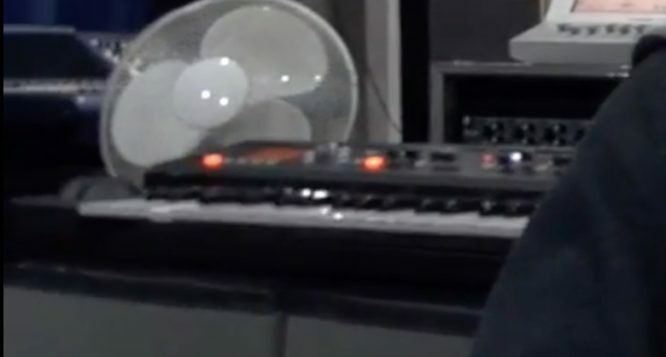 did you see those 3 buttons below the envelope? I assume they set it to Amp, Filter and Pitch. But – makes settings harder since you need to re-arrange it any time switching over to the other env. User Blaise hat eine Phantomzeichnung angefertigt. Forum User Blaise did a nice rendering feat. 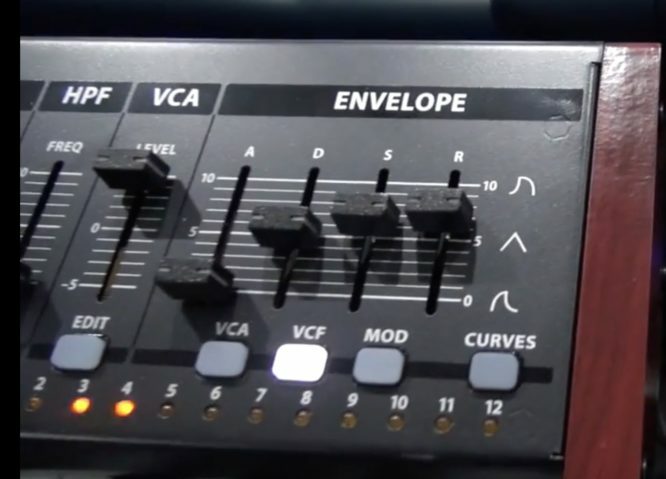 most likely faders..
Vile Electrodes, Richard Divine and others show to us ..
the new Behringer – a bit hidden and Rolandish in layout. 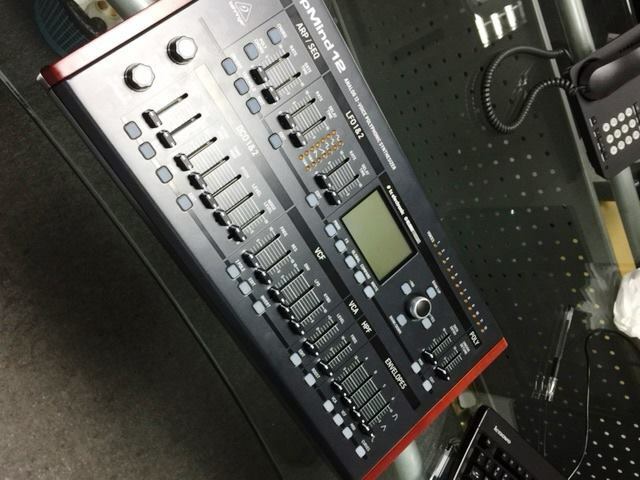 Well the name may not be Eurosynth EX8000 but listen, it sounds quite cool. they said „around 500€“ – so let’s check how much it actually is. btw: so happy they asked Vile Electrodes, they are cute in everything they do. Looks like the MIDAS-Team ist the only one envolved, since it is an all-UK group until now showing and wowing it. I count 29 white keys – it’s 4 octaves then. 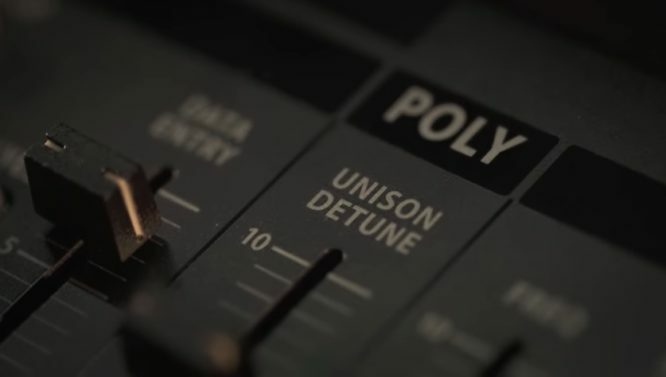 for a monophonic synth it might be a bit too much – so big hope for polyphony of up to 6 voices could be – but none of the demos are polyphonic. 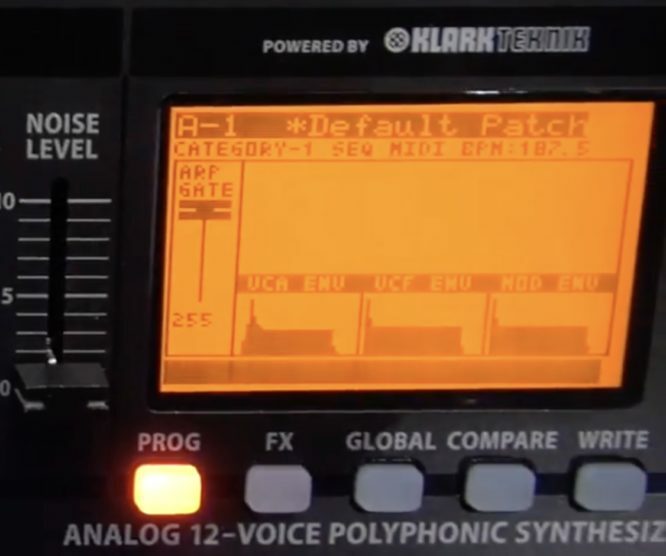 the synth has: 2 DCOs, ADSR Envelope (it says „envelope“ but could be more than one), Sync (do I hear it at the beginning) – yes- it’s 2 OSCs! – does it? 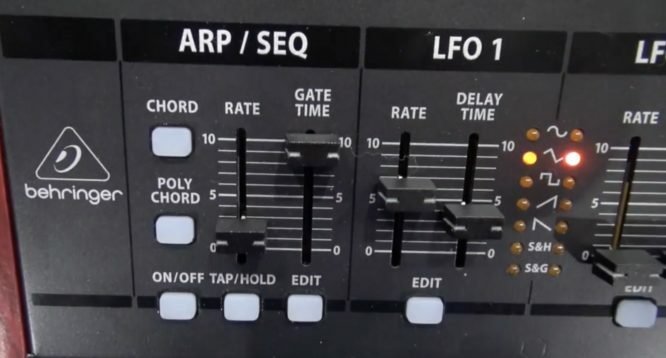 well – maybe sync isn’t for OSC sync but for some LFO/Arp ext. Sync? We don’t know – so we are still in wait-mode. 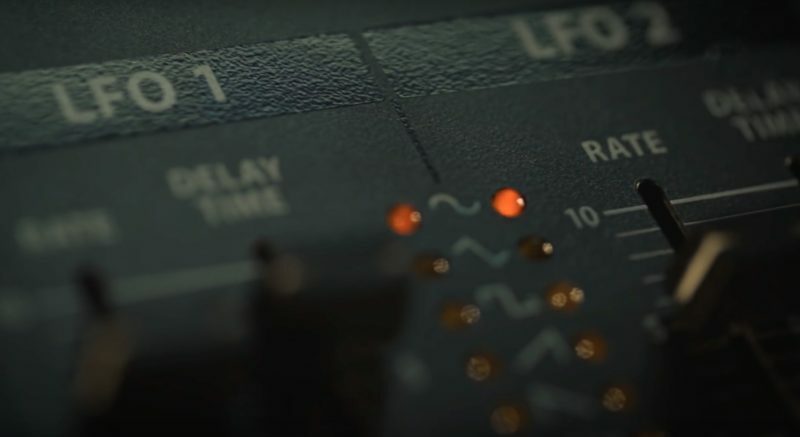 it’s 2 LFOs! 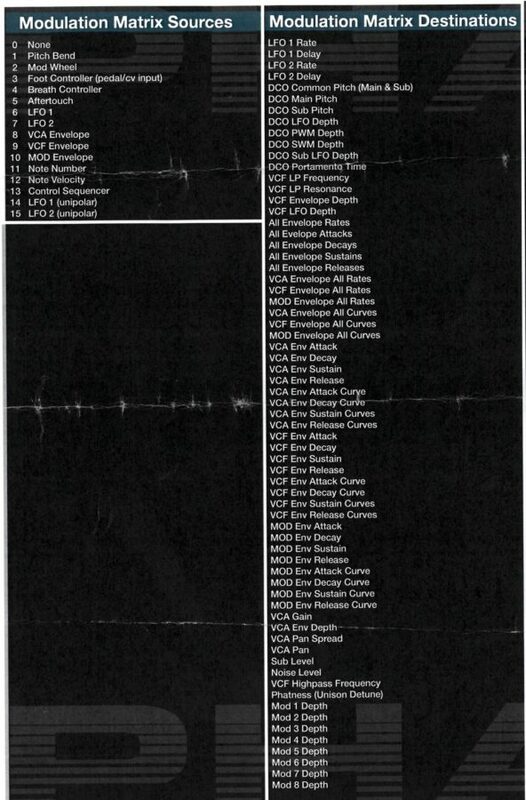 (confirmed). and PWM per OSC. 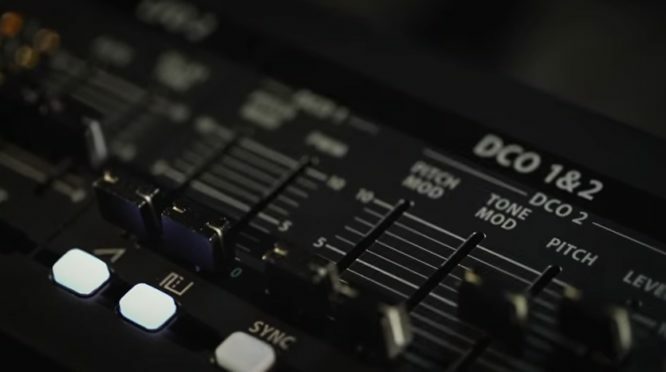 Note that DCO means analog sound but controlled digitally! so it is analogue! 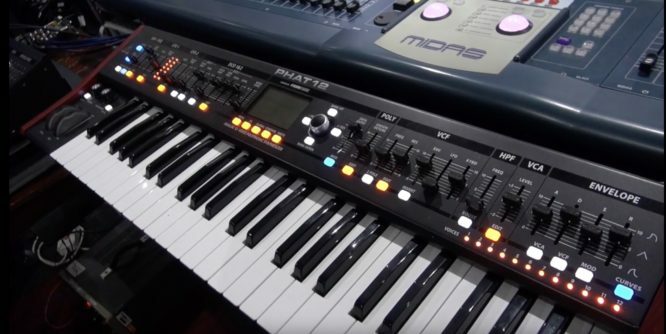 … but it is a real synth, less juni’ish but a bit like the looks of it or polysix or so, but it has all those features we expect it to have. and yes, they have the power – that’s the Midas team since they aquired them (and the X32) and all their analogue expertise. we had so many guesses and stuff. Not 4 voices please :( 5 is the minimum for two handed playing. Nice Shot but with a tank..